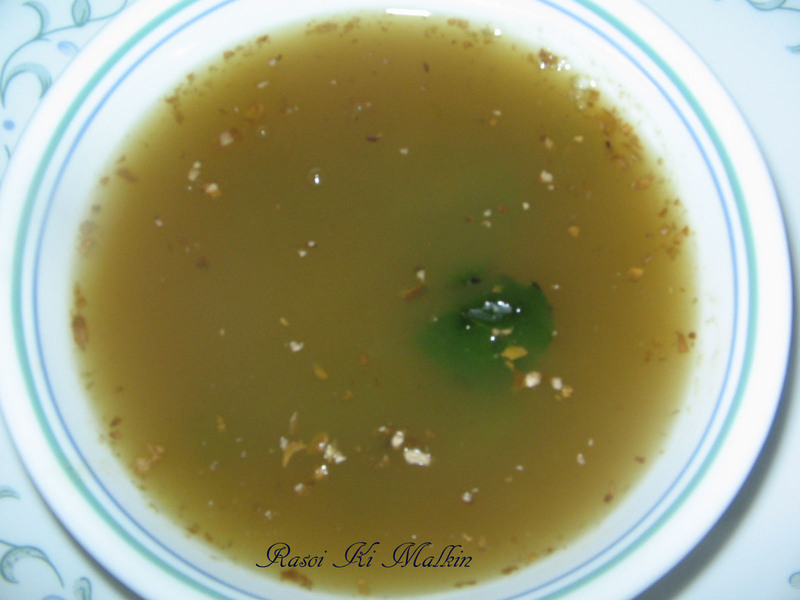 Basil ginger soup- which is also called as Thulasi allam soup is very good for winter evenings. 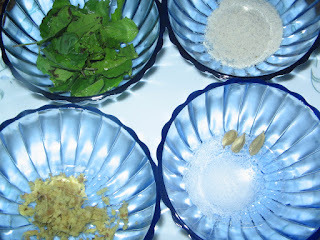 This recipe is passed to me from my grand mother. This hot soup is very soothing and can help to prevent cold / alleviate sore throat. Place basil / thulasi leaves, ginger paste,water, cardamom powder along with pepper powder and salt in a microwave safe glass bowl.Micro high for 5 minutes. Remove it outside and add corn powder(mixed in 2 tbsp water) to this boiled soup and stir well . Again micro high for 5 minutes and remove it outside and mix them well. Now again place the soup bowl in microwave and micro at minimum temp 180 W for 3 to 4 minutes. Switch off and remove it..Cover with a lid and set it aside for 5 minutes and serve hot..
Do not filter, drink as it is.It can be directly boiled on stove top for 15 minutes and can be had. Its a very hot yummy soup for cold / sore throat.This can be given to children as well in very limited quantities with less pepper powder. looks so yummy, it will come in handy after the spell of terrible weather we r having right now. Healthy and delicious soup.. thanks for sharing ! !